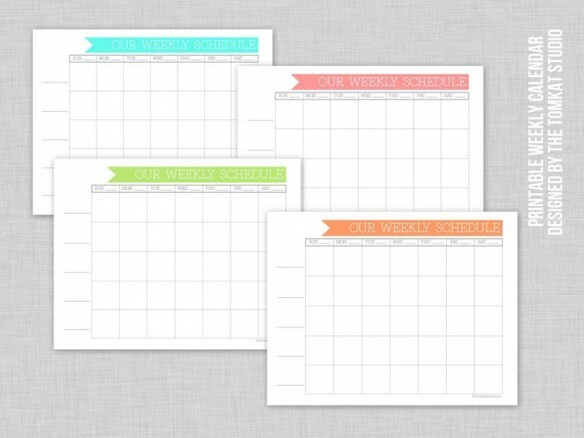 If you are still trying to organize your day to day family schedules for 2012, you might want to check out this free printable weekly calendar from TomKat Studio. This fun calendar coordinates with her monthly calendar and is a great way to keep track of each family member individually. It can be used as a chore chart, homework calendar, or just a reminder so you don't forget to take your daughter to dance class on Thursday. Not that that has ever happened to me. You can download the printable weekly family calendar over at Today's Creative Blog. Hurray, hurray, hurray!!! This is so great. I just sat down and made a list of all of the things I want to do every month - date, temple night, kid/parent date, themed dinner night, you know... those things you want to do but it takes some planning to make happen. Any who, I totally need this calendar and they are stinking cute too!